Wu Weishan is director of the National Art Museum of China, vice chairman of China Artists Association, standing committee member and director of Cultural Committee of China Democratic League, honorary academician of the Chinese University of Hong Kong. He also serves as president of the China Academy of Sculpture of Chinese National Academy of Arts and works as president, professor and doctoral supervisor of Academy of Fine Arts of Nanjing University. He is also member of the 11th and 12th sessions of the Chinese People's Political Consultative Conference (CPPCC) and member of Committee of Education, Science, Culture, Health and Sports of the CPPCC. He enjoys special allowance by the State Council. Born in January 1962 at Dongtai, Jiangsu province, Wu Weishan was graduated from Department of Arts of Nanjing Normal University in 1987 and continued to teach in the university after graduation. He conducted researches in Peking University (1990-1991), served as senior visiting scholar in European Ceramic Work Center (1996) and senior visiting scholar of College of Arts of University of Washington (1997-1998). Back from abroad in 1998, he worked as professor of Nanjing University and founded Sculpture Art Research Center at which he works as postgraduate tutor in the direction of religious studies, fine arts and design art in the university. Wu Weishan was professor for cultural lectures of the Hong Kong University of Science and Technology in 2000 and is the first artist to win the award of “Bao Yugang Outstanding Artist”. He was visiting professor of The Chinese University of Hong Kong in 2002, when he was given the award of “Gong Xueyin Outstanding Scholar”. He founded Academy of Fine Arts of Nanjing University in 2003 and worked as the first president. Wu Weishan also held the post of director of the China Academy of Sculpture of Chinese National Academy of Arts and director of Chinese Urban Sculpture Artistic Committee in 2007. He was appointed as director of Fine Art Research Center of Chinese National Academy of Arts by the Ministry of Culture in 2009. Wu Weishan won the Pangolin Award and the RRC Award for Person of the Year of Chinese art. He is honorary PhD in philosophy at Inje University, South Korea, member of the Royal British Society of Sculptors and the Royal British Society of Portrait Sculptors. He was appointed as director of the National Art Museum of China in September 2014. Yan Dongsheng, whose ancestral hometown was Ruicheng County, Shanxi Province, was born in Chengde, Hebei in October, 1972. He studied at the Accounting Department of the Central University of Finance and Economics from 1991 to 1995. In July 1995, he started working at the Finance Department of the then Ministry of Culture and promoted to Deputy Director-General of the Finance Department in September 2014. He has long been responsible for budgetary management and construction management and played a positive role in major tasks like setting up the National Excellent Project of Stage Art, protecting national intangible cultural heritage, earmarking funds for the Cultural Information Resources Sharing Project, facilitating the programs of the National Art Fund and artistic creation projects of national major historic themes, granting national rewards to art collection and donation, and promoting free public access to libraries, cultural centers and art museums. Moreover, he also played a positive role in the construction of national key cultural facilities such as the new venue of the National Art Museum of China and China National Arts and Crafts Museum. In December 2018, he was transferred to the National Art Museum of China and served as Secretary of the CPC committee of NAMOC. An Yuanyuan is deputy director of the National Art Museum of China, council member of the Chinese Artists’ Association, council member of the Professional Committee of National Art Museums and member of the Guiding Committee of National Urban Sculptures. Born in Shaanxi province in 1965, An Yuanyuan studied in the Department of the Art History of China Central Academy of Fine Arts from 1984 to 1988. And then she worked in the fine arts’ office of the artistic bureau of the Ministry of Culture in 1988 and worked as the office chief between 2005 and 2014. She has been devoted to the construction and the management of the museums and galleries and has participated in a number of major national–level exhibitions. She has played an active and professional role in organizing a number of important events, including the Artistic Creation Project on National Major Historical Themes, national artistic exhibitions, the first China Design Exhibition and the Chinese poetry Festival since the first to the third as well as artistic collection, donation rewards and free opening of the museums. Related articles with contemporary artistic creation and research can be found in newspapers and magazines. She was appointed as deputy director of the National Art Museum of China in February, 2014. 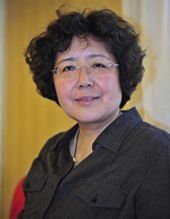 Zhang Qing is currently deputy director of National Art Museum of China (NOMAC). In 1964, he was born in Suzhou City, Jiangsu Province. He graduated from Class of Teaching Assistants with Master Degree, the Central Academy of Fine Arts. Zhang Qing majored in art history of historiography from Department of Art History Theory, China Academy of Art, and received Professional Doctorate in Fine Arts. 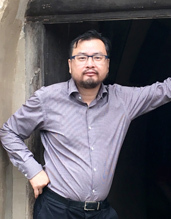 He graduated from Department of Architecture, College of Architecture and Urban Planning, Tongji University, and received Postdoctorate in World Architecture Theory and History. 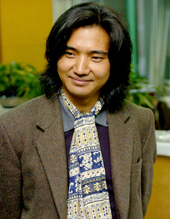 From 1999 to 2011, Zhang Qing served as Deputy Director of Shanghai Art Museum and Director of Shanghai Biennale Executive Office. From February 2011 to June 2017, he served as Director of Department of Research and Planning under NOMAC. He is not only included in List of Cultural Masters (the Sixth Batch) and “Four Kinds of Talents in the First Batch” appraised by Publicity Department of the CPC Central Committee, but also Leading Talent of Philosophy and Social Science included in the Second Batch of “National Special Support Program for High-level Talents”. 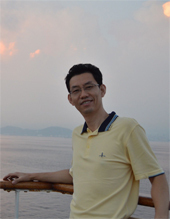 Zhang Qing is also Outstanding Expert Certified by Ministry of Culture. Since June 2017, he has been incumbent Deputy Director of National Art Museum of China (NOMAC).